Have you ever changed your diet and felt amazing…only to go back to how you were eating and feeling before? It can be hard to stick with eating healthy, even if we feel the benefits. I often wonder why this is, and I’ve noticed that for me I’m a creature of habit and habits are hard to change, especially when you’ve been doing something or eating something for so long. I mentioned in early August that I was taking a break from drinking coffee. I quit coffee cold turkey and was coffee-free for over 35 days until I decided to indulge in an iced coffee. For the next week, I was drinking about a cup of coffee in the AM. I also got on average about 4 hours of sleep each night that I had drank coffee in the morning. Although caffeine shouldn’t affect my sleep so much, it does and I came to the conclusion that I’ve become extremely sensitive to caffeine and (for me) it just isn’t worth it any more. Of course I documented my iced coffee indulgence! I’m happy I realized coffee was affecting me in a negative way instead of drinking even more coffee to make up for lack of sleep, which is something I used to do on a daily basis. I’m also happy to share what I learned during this self-realization coffee experiment: don’t beat yourself up! If you slip up on a health goal, diet, or exercise routine, etc., instead of berating yourself and feeling like poo, simply note the difference in how you physically, mentally, and emotionally feel when you’re doing something good for yourself vs. how you feel when you do something that doesn’t benefit your overall health. Then, decide which feelings you’d rather feel. In my case, if I kept drinking coffee, I’d probably feel energized for a few hours, but ultimately miss out on sleep and feel really tired at work, in class, and during my free time. 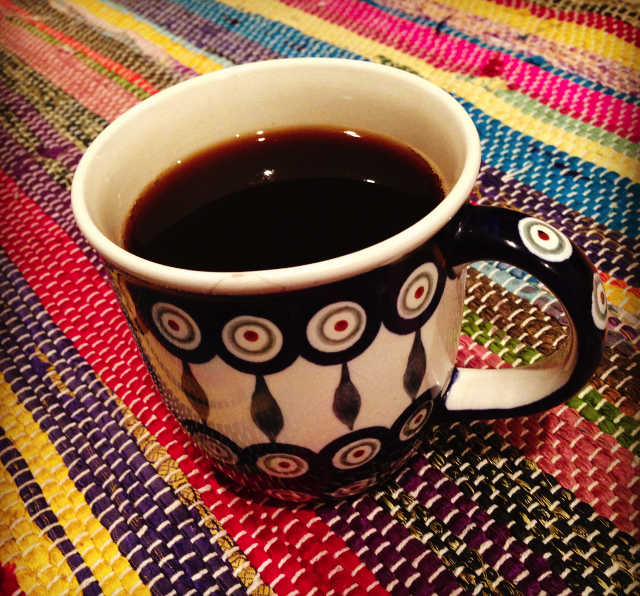 Being coffee-free also made me realize the importance of eating energizing foods. I pride myself on practicing what I preach, but sometimes quick convenience foods are an easy option that I rely on. These foods are ok in a pinch, but real, wholesome, unprocessed foods provide so much more. I’ve decided to share a delicious meal filled with fresh veggies that I made recently. It took me about 10 minutes to make the entire meal and it’s packed with fiber, lycopene, vitamin A, vitamin C, and deliciousness. Enjoy, and take care of yourself! This week I took a vacation from work. Although I find my work fulfilling and rewarding, everyone needs a vacation and I’m no exception. I thought about going somewhere during my time off, but sometimes I find traveling more stressful than it is relaxing so I decided to make this vacation a “stay-cation”. This past week I’ve been going to the beach and spending a lot of time meditating, which is something that I need to consistently do in order to reap the benefits. I also took a few day trips to my favorite towns on Long Island and ate at my favorite vegan restaurants (I might write a separate blog post on that!). This past week I also explored some nature preserves, attended a powwow, and visited a farm that I used to work at many summers ago. This preserve (Norman J. Levy Preserve) was built on what used to be a garbage dump. The high point where I took the photo from used to be a giant pile of garbage and now is home to native species of grass, small trees, insects, animals and birds. A picture of the farm I used to work at! I actually worked with the animals but I would love to get my hands dirty working with some fresh produce! A photo of one of the highlights from the powwow. Group dancing to drums and hymns of Native American tribes made this a magical experience. One of my favorite things about fall is pumpkin-flavored everything. 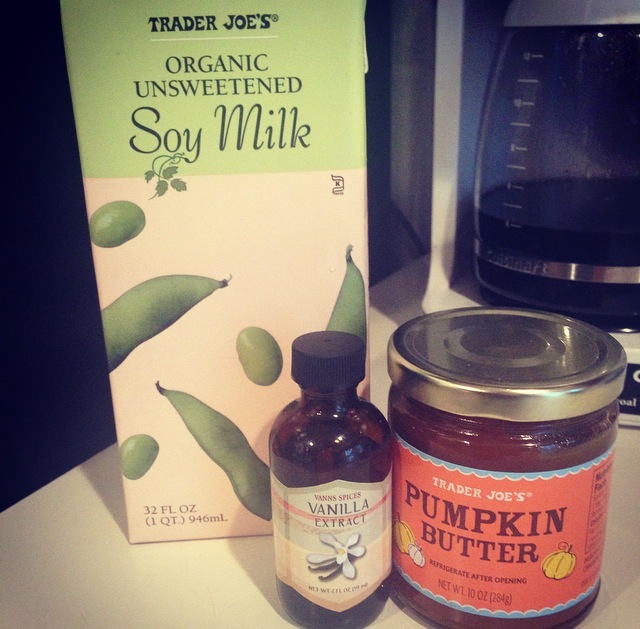 I’ve always wanted to try Starbuck’s pumpkin spice latte but the pumpkin spice mix that they use is not vegan, so I’ve decided to make my own pumpkin flavored coffee treat. Here is my first attempt at a soy pumpkin spice coffee (it’s not a latte because I don’t have an espresso machine, but feel free to use espresso if you have the equipment). A final note- this coffee is significantly less creamy than what I imagine a pumpkin spice latte would taste like, so feel free to use a higher-fat soy milk than normally, or adjust any of the ingredients according to your tastes. You may also want to steam the soy milk but this is what I did. Enjoy! Is Coffee a Health Beverage? Are you one of the many people who drink coffee everyday? Do you feel like you can’t get through the day without your trusted caffeine fix? I know I am! I love coffee and I’ve been drinking it daily since I was 14. I admit that I am completely dependent on it. I once tried to quit coffee (for fun I guess?) and although I recall I lasted 14 days without it, I didn’t feel the same and I returned to my coffee-drinking ways. I personally don’t feel like there’s anything wrong with drinking coffee and science backs me up. Coffee has been shown to decrease the risk of developing type 2 diabetes (just don’t load up your cup with sugar and cream! ), increase metabolic rate slightly and help burn fat, increase athletic performance, increase energy levels, and protect against Alzheimer’s disease, Parkinson’s disease and possibly lower the risk of colorectal cancer. Coffee does have its naysayers though, who claim that drinking coffee leads to dehydration and dependency. While it’s true caffeine is an addictive compound, I think the benefits far outweigh the risks, especially because overdoing coffee is kind of hard to do. It would take about 100 cups of coffee consumed in less than 24 hours to produce toxicity or death. I don’t know anyone who is THAT crazy for coffee, but if that sounds like something you’d do, maybe go easy on the bean. 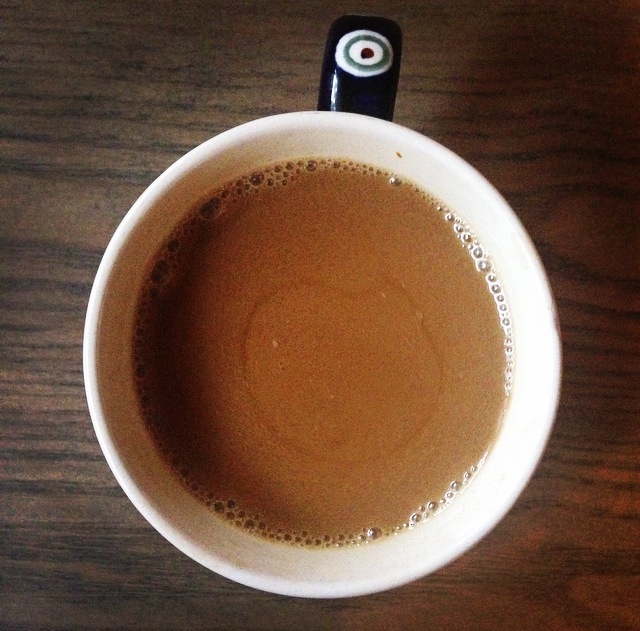 Whatever science says, the choice to drink coffee is entirely up to you. Although it definitely has health benefits, some people are extremely sensitive to caffeine and the other compounds found in coffee beans. For these individuals, it’s best to avoid coffee. Additionally, if you have adrenal problems, are taking certain medications, or have other health issues, make sure you consult your doctor before drinking coffee or if you think your current coffee consumption may be interfering with your health. I’ll be posting some other facts about coffee in a future post, and maybe I’ll come up with a coffee-flavored baked good, so check back soon! Feel free to discuss your coffee preferences by leaving a comment.